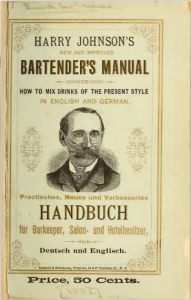 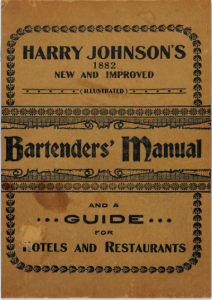 The first book to comprehensively document the proper steps to opening, stocking, and operating a bar, Harry Johnson’s Bartenders’ Manual is a mandatory volume for novices and professionals in the bartending profession. 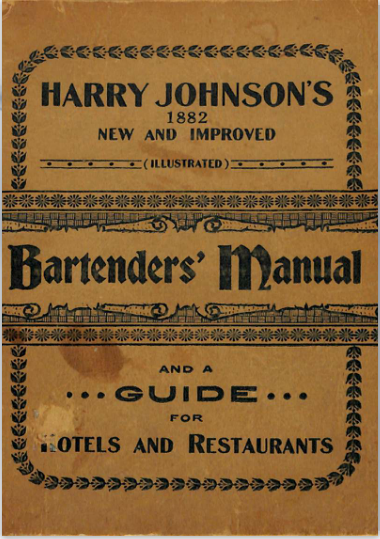 Originally published in 1882, Prussian-born Johnson revised and expanded this book three times (1888, 1900, and posthumously in 1934) as his own knowledge of the business increased. 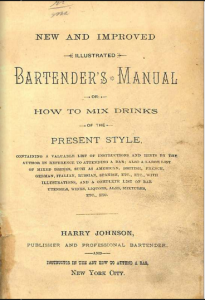 Click here to read the 1882 edition. 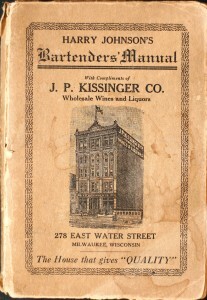 Click here to read the 1888 edition.